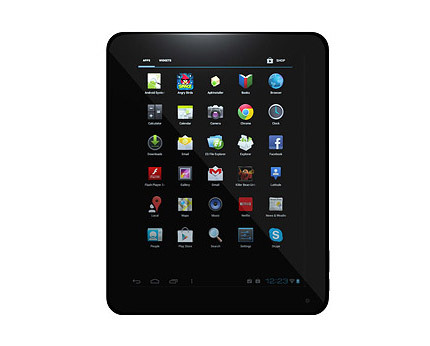 Well priced Sumvision Titan Tablet PC. 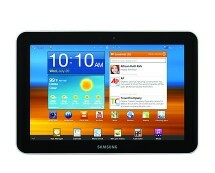 Ebuyer.com is currently selling this 9.7 inch mid-to-high performance tablet for only £149.99. Featuring the latest Dual Core CPU from ARM running at 1.6GHz, MAli 400 Quad Core Graphics Processing Unit, 1GB DDR3 RAM, 16GB internal storage, 2 web cams and Google’s advanced Android 4.0 Ice Cream Sandwich Operating System. 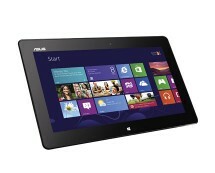 This tablet can provide far better performance compared to single core alternatives. Thanks to the above mentioned hardware specifications, web browsing, HD gaming, 1080p movie playback and multitasking is not an issue on this device. 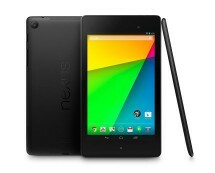 Overall, decent price for a good performance ICS tablet with a massive 9.7 inch display. UPDATE: Due to the high popularity this tablet enjoys, we’ve decided to put it under the microscope and see if it still is a decent buy. To sum up the previous review, we’ve got the Sumvision Titan – a 9.7 inch budget tablet powered by a dual-core computing processor, quad-core graphics chip, 1 GB RAM and 16 GB of storage. Let’s dig a bit deeper. We’ll start off by saying that we won’t be doing any head-on comparison between this tablet and other popular tablets because of a very simple reason: there aren’t any renowned tablets with similar specs in this price range, and comparing a £160.00 tablet with one that costs twice as much would be as relevant as comparing elephants to giraffes. 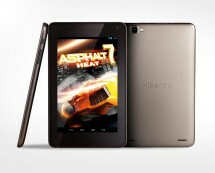 We’ll start with the processor, a dual-core Cortex A9 chip running at 1.6GHz. The figures are not the most impressive out there, as there are numerous tablets that come with quad-core processors, but you have to ask yourself: do you really need that much power? Let’s be a bit realistic here, you’re not buying a tablet to replace your home PC, you’re buying it for multimedia and web browsing – tasks that don’t need an awful lot of processing power. Of course, a quad-core processor may allow you to keep your music player running, have a video playing in the background while a game is loading and you’re writing an e-mail, all these while installing an app and un-installing another, but do you actually need that? The idea is that the processor is quite powerful and it will easily chunk through everything as long long as you remain reasonable. This doesn’t mean it’s not good for multi-tasking, because it is, but just don’t exaggerate with it. Let’s move on to the main feature – the screen. The Sumvision Titan comes with a 9.7 inch screen capable of a resolution of 1024 x 768 pixels and a pixel density of 132 per inch. While the technical specifications of the display are not the most impressive, the overall performance of the screen is. Even though it doesn’t come with HD resolution, image quality is still above average, with vivid colours and good touch response. After all, we’re dealing with an IPS panel, the type of display panel found in high-end products. The connectivity side is maybe the tablet’s biggest plus, because the Sumvision Titan comes with some very good connectivity options. A noticeable feature is the USB host functionality which allows you to hook up an external hard drive without the need of installing any third party software to recognize it, which is a pretty awesome feature for a budget tablet. Also, there are 2 micro-USB ports, not just one, as the case of most tablets, so it’s a double-win. Double seems to be the word of the day with the Sumvision Titan, because it also comes with two cameras. This is quite surprising because budget products usually come out stripped of many features, but this tablet seems to defy all the rules so you’ll find a 2 mega-pixel rear camera as well as a 0.3 front-facing camera for video-calls. Drawing a line and summing it all up, the Sumvision Titan is definitely not the most powerful tablet out there, but in its price range, it’s one of the most well-equipped tablets you can find so we give it 4 star rating for its unmatchable price per performance ratio.